This month’s After Hours event was at the fabulous Chops 30A, where I caught up with a couple friends and met several new faces. 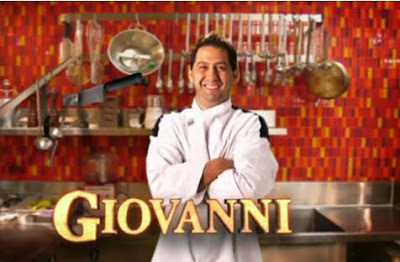 One of those was Giovanni Filipponi, the main man in the kitchen as well as Hell’s Kitchen current season cast member. Everyone sampled lots of his tasty apps (kobe beef! venison! tuna!) and sushi as we mingled around the amazing bar area (which is a little mesmerizing the way it changes colors the longer you stare at it). I asked if Gordon Ramsey was really like what we see on TV. He is and it was hellish. I guess the show even offers psychiatric help at the end for anyone that wants/needs it if the Chef’s comments are a bit too cruel. Very interesting! Overall … good food, good cocktails, and a little cocktail trivia.